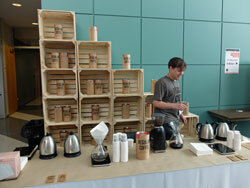 My review of the CoffeeCON 2013 event for coffee lovers. 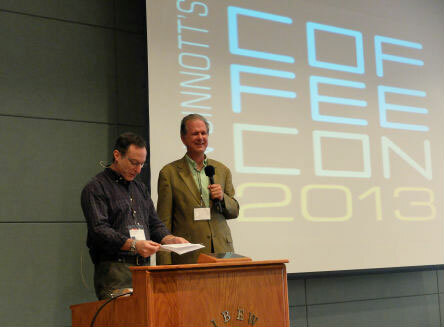 I was lucky enough to have been invited to attend the 2013 CoffeeCON event in Warrenville, outside Chicago. 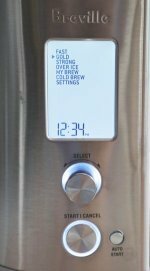 This was an event created for coffee consumers, not for coffee shop owners, roasters and baristas. Its focus was on education, with some fun and entertainment thrown in. Plus a seemingly endless supply of coffee and espresso samples. I walked, I talked, I listened, I took photos and videos, and snagged a few interviews with some of the presenters. More important still, all the attendees seemed to love it as well. I could list several reasons why I think this event was such a success, but I’m going to focus on just one. This event succeeded because of the generosity of its founder, its organizers and its presenters. This wasn’t a trade show or a commercial show. It wasn’t about selling stuff. To give you an idea of how amazing it all was, let me try an analogy. Imagine you were drama student wanting to get into acting. Then you find out about an event where you can spend an entire day being taught by Dustin Hoffman, Daniel Day-Lewis and Charleze Theron. For $20. That’s what CoffeeCON was like, but for coffee lovers. The founder of CoffeeCON is Kevin Sinnott. Kevin a nationally recognized authority on coffee. 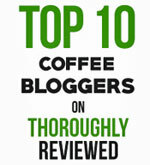 He’s a writer, videographer and has been a guest coffee expert on Oprah Winfrey, 20/20, The Food Network and elsewhere. George Howell, who presented his For the Love of Coffee lab at the event is one of the true pioneers of the specialty coffee business. He founded the Coffee Connection in Cambridge Massachusetts in 1974. In 2004 he created the George Howell Coffee Company and its Terroir Coffee brand. Oren Bloostein opened his first coffee shop in New York City in 1986. Oren’s Daily Roast can now be found in nine locations in the city. Jim Schulman of Home-Barista.com is an espresso expert. He knows everything about espresso and gives classes at the SCAA annual meetings and has been a judge at the US Barista Championships. 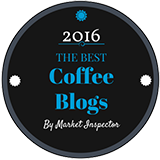 Christy Thorns is the director of sourcing and quality control at the Allegro Coffee Company. She is one of the finest coffee tasters in the world and travels extensively to find the very best coffees for Allegro. These were the principal presenters at the event, plus many others who gave demonstrations of numerous coffee brewing techniques. My point is, the presentations at CoffeeCON were of the highest possible caliber. More important still, none of these presenters needed to be there. They are all successful. They didn’t need to travel to Warrenville and spend the day there. They weren’t there to drum up business. They were there to share their knowledge. Which brings be back to the generosity of spirit I found at this event. It was about successful experts giving something back. There was nothing in it for them, except for the pleasure of teaching and passing on what they had learned. That’s why I have become an instant fan of CoffeeCON and will do my best to attend all their future events. Finally, a big thank you to Kevin Sinnott, Jenn Stinnett and everyone else who made my attendance at the event such a pleasure. Thanks! And I’ll be back!